You may still be able to book by calling the hotel at 562-425-5210. 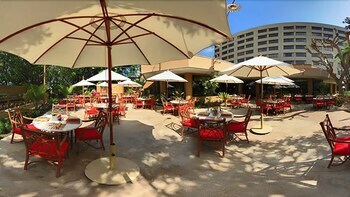 The Long Beach Marriott prides itself on its gorgeous landscaping and its spacious, well-appointed guest rooms. In addition to a surprisingly stylish decor marked by textured carpeting, cherry-wood furnishings, and bright yellow and red accents, you’ll also enjoy standard amenities like bath products by Bath and Body Works and a 27-inch flatscreen TV. You can even kick back with your favorite tunes piping out of your room’s iPod dock as you scout attractions and activities using the broadband Internet access. 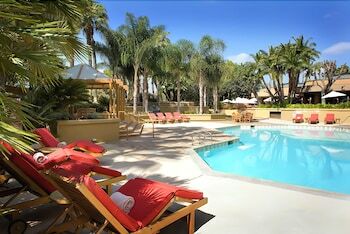 And what Southern California hotel would be complete without a heated outdoor pool and sundeck for soaking up those ever-present sun rays? But if that’s not enough, you’ll also enjoy access to the on-site sauna, the solarium and the fitness center, which features state-of-the-art equipment. We hope to being seeing you in the LBC. 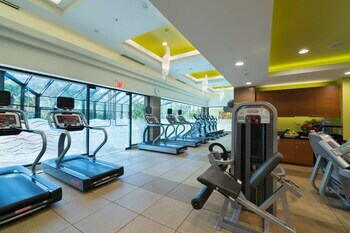 Long Beach Marriott is a 3.5-star hotel located at 4700 Airport Plaza Drive, Long Beach, CA 90815, US . Its nightly price usually falls between $129 per night and $319 per night, excluding tax, depending on room category. 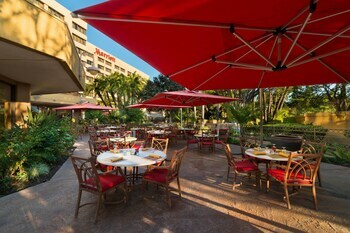 At Long Beach Marriott, AAA members often get 7-13% off the regular rate. For example, on December 27, 2018, a AAA rate of $143 per night was offered. Depending on your itinerary, your savings can be more than the annual AAA membership fee itself! Many Room 77 users are able to pay for their entire AAA membership in a single stay. 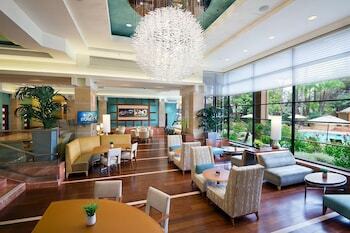 At Long Beach Marriott, seniors often get 5-10% off the regular rate. For example, on December 27, 2018, a senior rate of $143 per night was offered. For December 27, 2018, a special AAA rate of $143 per night was found for the Two For Breakfast Rate AAA Hot Deals, See Rate - Rules, Guest Room, 1 King Or 2 Double room type. For December 27, 2018, a special Senior rate of $143 per night was found for the Marriott Senior Discount, 62 Years and Older - Valid ID Required, Guest Room, 1 King Or 2 - Double room type. 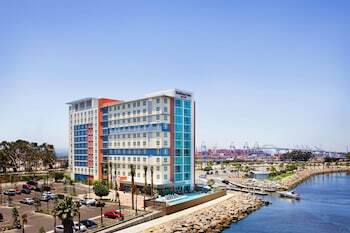 Long Beach Marriott sells rooms through sites like Room 77, Expedia, Hotels.com, GetARoom, and many others. Room 77 searches across dozens of different sites to find the lowest discount rates available. The lowest rate we've seen over the last few weeks was found on . In 1% of the cases we surveyed, all sites offered the same rate. You can compare real-time rates from all of these sites on Room 77. Room 77 is the only hotel shopping site that includes special discounts like AAA, senior, government, military, and corporate rates.